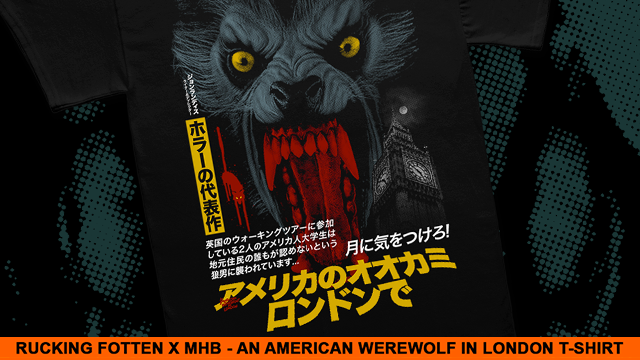 This Japanese inspired horror tee from An American Werewolf in London (made in collaboration with MHB) is available for pre-order now! London has inspired countless horror films over the years. 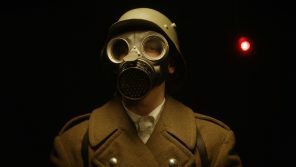 Its historic streets have long whispered their macabre stories into the ears of willing film directors, who base their tales of terror in England’s eerie capital. 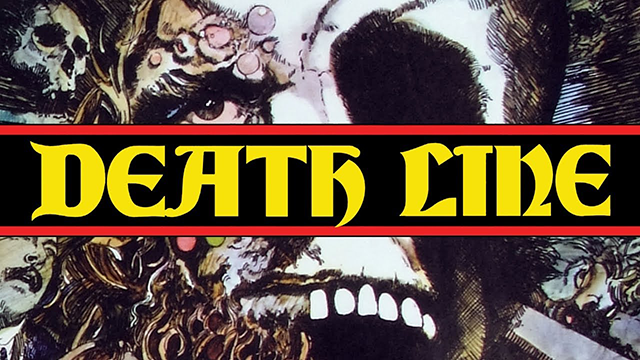 Whether it’s vicious serial killers or undead hordes, London has always provided a spectacular backdrop to films that go bump in the night. 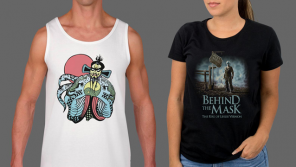 Beware the moon as Fright-Rags unleashes its An American Werewolf in London and The Texas Chainsaw Massacre apparel? 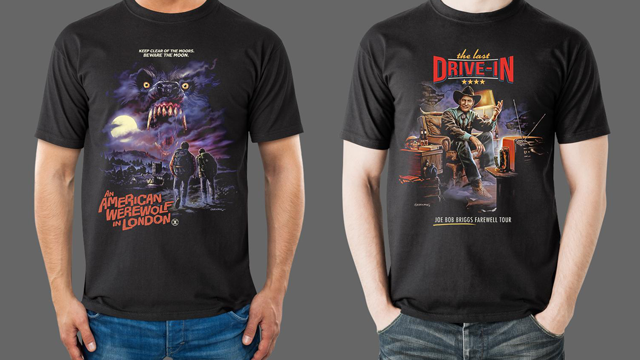 Fright-Rags also commemorates seminal horror host Joe Bob Briggs long-awaited return with a t-shirt design for The Last Drive-In, a 24-hour horror movie marathon streaming on Shudder. 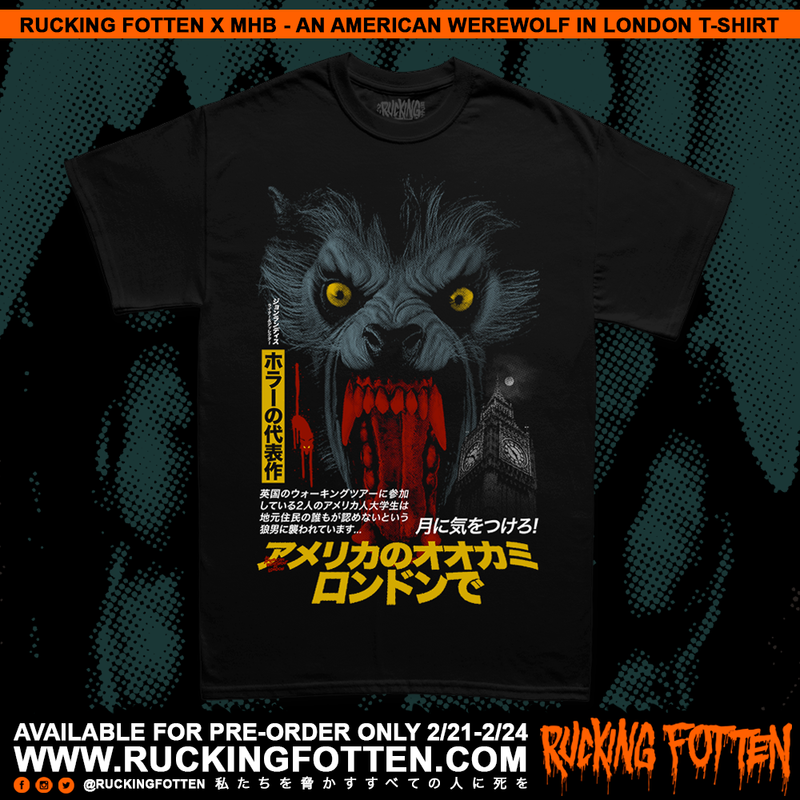 An American Werewolf in London presents the perfect balance between comedy and horror by writer/director John Landis, along with unparalleled special effects by Rick Baker, ensuring this tale of lycanthropy has a place in cinematic history to which all other werewolf movies are now compared. 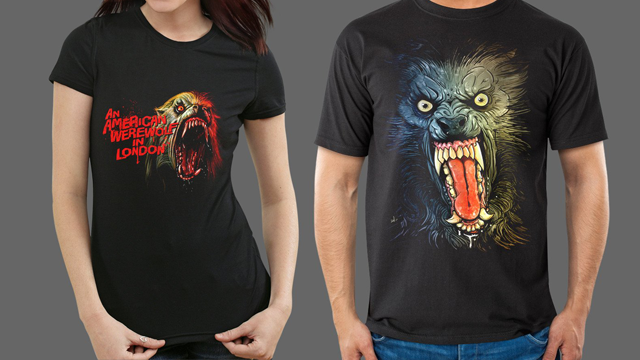 Fright-Rags’ pays tribute to the 1981 classic with their An American Werewolf in London Collection.